Living near the coast, inclement weather isn’t new to residents of Palm Harbor. Something with a little less exposure, however, are rat infestations. When the sea brings in severe weather, rats will seek shelter in the closest place they can find warmth and shelter; Palm Harbor homes. The key to keeping your home and family safe from damages is to remove the rats before the infestation can grow. 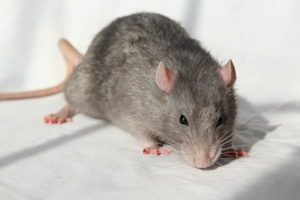 Additionally, rats will expose your family to potentially fatal diseases like Hantavirus, salmonella, rat-bite fever, the plague, and much more. Rats can sneak their way into your home through the holes in your roof or soffits, so knowing there is an infestation present may not become apparent until damages are already done. Luckily, the experts at Critter Control® Tampa can not only remove the rats from your home but repair any damages they left behind. With over three decades of experience, you’ll know you’re getting the highest quality of rat removal in the area. To learn more or schedule your free consultation, call us today at 813.948.0870.